A free spirit. Creative. A dreamer. I’m a Midwest gal that sees magic and possibility in everyday life. Ideas and stories fuel my creative drive, no matter how I end up channeling it. 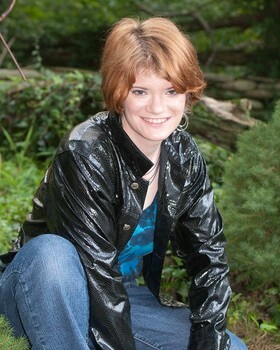 I currently work as a costumer/costume designer and have been known to still get on a stage once in a while. And the writing, always the writing! I have a million hobbies and tend to see things from a very different point of view than most people. I like to make people think and urge them to appreciate the magic and romance that hides in the mundane. Weird adventures happen to me all the time, so you never know what I’ll get up to next! 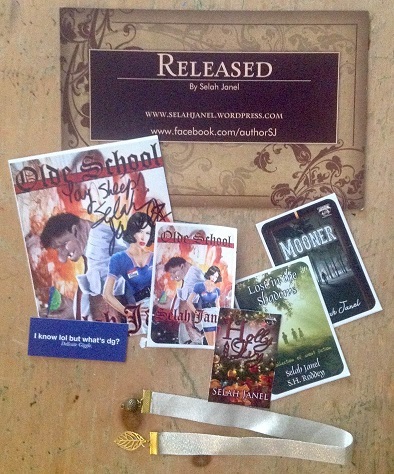 I met Selah at Imaginarium last weekend and she gave me this swag along with a themed bookmark to give away!